We are hunters!! Put us to work for you! 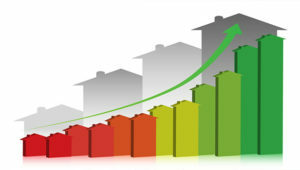 We target properties that are “off market” and closely match our client’s unique buying criteria. Whether it be a geographic area, a specific property type or A, B or C property level condition, we “shoot with a rifle” and target property owners directly seeking potential acquisition opportunities. Our Customized Investment Analysis is created specifically for each property we help our clients buy or sell. The report incorporates extensive detail concerning income and expenses projections, key financial ratios, financing methods, and allows for “what if” analysis when considering alternative purchase or sale scenarios. Maximize your return on investment with professional analysis and effective marketing. We provide the full-range of seller services, beginning with a solid understanding of your property and ending with a transition of ownership that meets the financial requirements of our seller-client. We partner with our clients to help maximize returns and enhance property value, providing strategic management, budget optimization, inventory and market analysis, financial analysis and property management functions. Welcome to Rohan Realty Associates – A full service real estate brokerage firm specializing in the Purchase, Sale and Management of residential investment properties throughout the state of Florida.